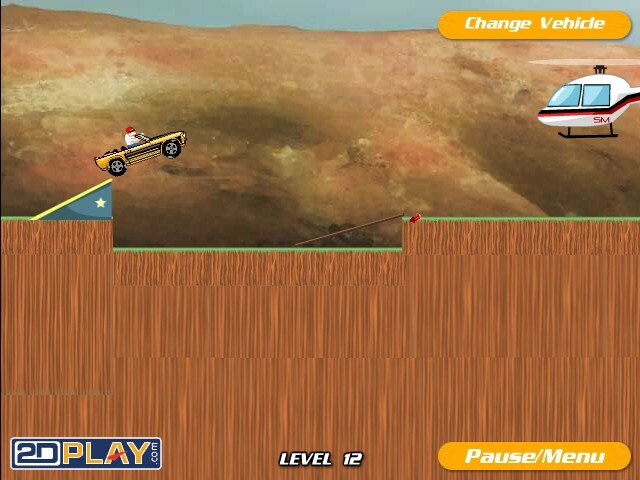 Stunt Bike Car Physics Bike 2d Play Click to find more games like this. 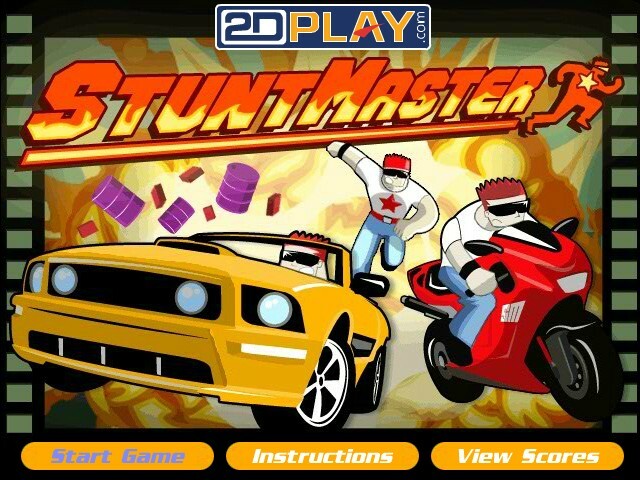 Your task in this physics based funny game is to drive your car, bike, or run as you try to cause enough damage to objects and your stuntman. 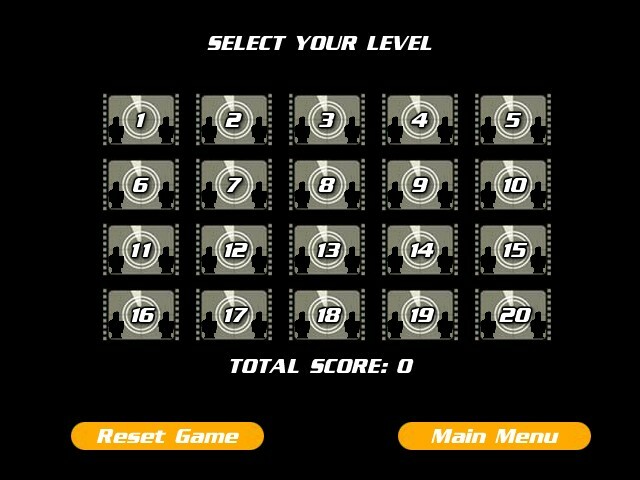 Take the role of almost indestructible Flip Bashman and conquer the world of Hollywood action films. 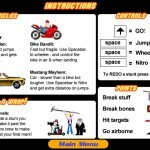 You'll have to master different vehicles as you run, ride and drive your way through various film sets, earning points for breaking stuff (including your own bones!! 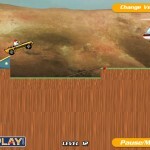 ), catching major air and collecting golden achievements for just being awesome. 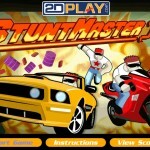 Perform insane stunts and try to reach the camera crew. 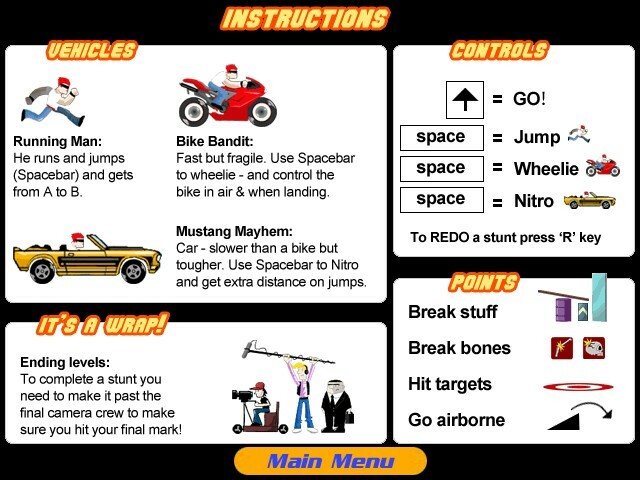 Use UP ARROW KEY to go and press the SPACEBAR to jump, do wheelie and use nitro. Good luck!